Comment le #frenchretail peut-il contrer AMAZON en 2018 (2/2)? L’exemple US devrait nous inspirer ! Si on regarde un peu ce qui se passe outre atlantique, on voit qu’en plus d’avoir recadré leurs prix, WALMART ou TARGET adoptent aussi certains codes du WEB. C’est vrai que c’est d’abord par la croissance externe qu’ils acquièrent cette culture (jet.com par ex pour WALMART) mais la culture du web c’est aussi l’optimisation de la supply chain (Ocado pour KROGER). Bilan : on baisse ses prix, on investit… donc on tape dans les ratios de rentabilité ! Mais il n’y a pas d’autre solution car c’est un aspect culturel du Web que de “rogner” les marges… Comment proposer une expérience au client qui soit comparable à ce qu’il a l’habitude de vivre en ligne sans changer ses habitudes de consommation “instore” ? C’est impossible ! Être en avance sur ses futures habitudes de consommation sera tout l’enjeu de la prochaine décennie et gare à ceux qui se trompent, car il disparaîtront ! TARGET et WALMART aujourd’hui ont clairement fait le pari du click & collect, fort de leur maillage : ils pensent qu’ainsi ils n’auront pas à supporter les coûts de livraison… On le sait nous en France avec les DRIVE, le calcul est juste mais il ne saurait être suffisant et la livraison ne peut être négligée. Petite satisfaction quand même dans ce combat impitoyable le C.A des magasins continue de croître même si c’est de 2 ou 3%, certains acteurs du #frenchretail SIGNERAIENT TOUT DE SUITE. Walmart, Target and Kroger are opening their wallets to fend off Amazon. They’re raising minimum wages to retain and attract workers. Stores are being remodeled to encourage customers to add a few extra items to their baskets each time they visit — and convince them to return. All three have lowered their prices. The companies are optimizing stores and warehouses for speedy curbside pickups and grocery deliveries. Walmart is plowing cash into updating its website. They’re also going on a buying spree. Target bought grocery startup Shipt for $550 million last year, and Walmart bought e-commerce platform Jet.com for $3 billion in 2016. On Wednesday, Kroger said it was scooping up meal-kit company Home Chef in a deal worth up to $700 million. 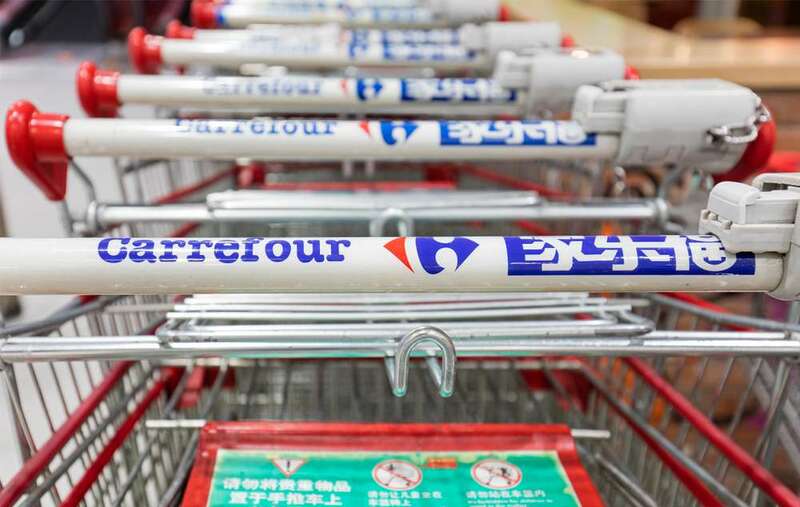 Last week, the grocery chain paid $250 million for a stake in British online supermarket Ocadoto help manage automated warehouses and leverage its digital technology in the United States. The moves signal how far brick-and-mortar grocers and retailers today are reaching beyond their stores to fight off Amazon and adapt to online shopping. « They are relying on acquisitions, which are proving to be very expensive, in order to catch up quickly or risk completely being outrun, » said Tom Gehani, director of client strategy and research at consulting firm Gartner L2. Renovations, raises, supply chain optimizations, and acquisitions and demonstrate the high costs of slogging ahead with a long-term plan — one often at odds with Wall Street’s impatience. Spending a ton of cash to ramp up digital operations, while slashing prices, has cut into profit margins at Walmart, Target and Kroger. 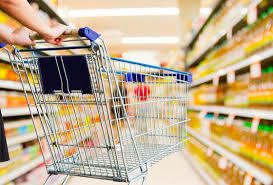 Walmart (WMT) is down 16% this year and Kroger (KR) has lost 10%. Target (TGT) is up 9%, but shares fell sharply after it missed profit expectations. Despite Wall Street’s hesitancy about the companies’ near-term prospects, Walmart, Target and Kroger are plowing ahead, determined to stem the tide of fleeing customers by adapting to the digital age and changing consumer habits. For example, Target CEO Brian Cornell said last year that the company would embark on a three-year, $7 billion effort to reposition it for the future. The strategy includes opening smaller stores in urban markets and rolling out more private label brands. « We’re investing in our business with a long-term view of years and decades, not months and quarters, » he said. Walmart is also rapidly searching for new growth opportunities. The company admitted that Jet has failed to resonate with shoppers in the middle of the country, but it has acquired niche brands such as Bonobos, Modcloth. Walmart paid $16 billion last month for India’s Flipkart, its largest deal ever. Kroger hopes the Ocado deal « will allow [it] to react to how the customer may want to change their shopping habits over time in a big way, » chief financial officer John Schlotman said at a conference last week. Many Kroger customers have defected to Whole Foods after Amazon lowered prices at Whole Foods. All three companies hope to use their massive network of physical stores to their advantage in their battle against Amazon. They are all focusing efforts on so-called click-and-collect, where shoppers order items off their computers or phones and then drive to pick them up outside stores. Walmart believes that its 4,760 US stores within 10 miles of 90% of Americans will allow the retailer to transition its real estate into shopping centers that can easily fulfill online orders, too. It will have 2,100 pickup locations by the end of the year. Target plans to have 1,000 pickup spots by the end of 2018 for clothes, home appliances and groceries. And Kroger said in March that it has more than 1,000 collection sites. Expanding pickup can help these companies keep down expensive shipping costs. For customers who don’t want to pick up items at stores, the companies are ramping up their effort to deliver items quickly from stores to customers’ doors — despite the limited profitability shipping goods to your home. Walmart will have grocery delivery available at around 800 stores by the end of the year, and Target will have same-day delivery for its stuff at close to all of its 1,822 US locations by then. Investing in groceries is crucial for Walmart and Kroger to stay ahead, but they’re fighting to keep control of an already low-margin business. « Amazon has caused them to chase the wrong end of the profit spectrum, » Gehani said. Walmart and Target have shown they’re capable of making the shift to digital. Walmart’s online sales grew 33% and Target’s jumped 28% last quarter from a year prior. Store upgrades are also helping: Same-store sales grew 2.1% at Walmart and 3% at Target last quarter. Nous avons tous vécu le plaisir de “tracker” le Uber que nous avions commandé sur l’appli de notre mobile. Amazon propose aux US, désormais, la possibilité de “tracker” la livraison de votre commande en suivant le livreur sur une carte … Après les tests de livraison chez vous quand vous n’êtes pas là, dans votre voiture “fermée”, AMAZON enfonce le clou avec toujours le même objectif, la maximisation de l’expérience client … Réveillons nous #frenchretail ! #AmazonIsComing ! You can now very closely monitor your Amazon packages. The feature, which debuted in November and shares a package’s exact location, is now available for all Amazon deliveries stateside. Pinning down the location of your Amazon package should become a whole lot easier with the US rollout of Amazon Map Tracking. The feature, which launched late last year to some, is now available for all packages delivered by Amazon in the US, the company confirmed Wednesday after Android Police wrote about it. 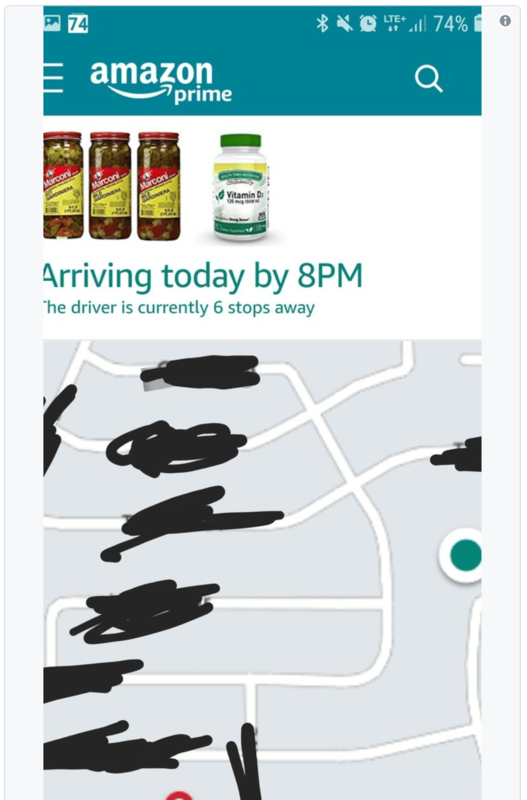 Map Tracking provides an estimate on when the package will arrive, how many stops away the driver is and a map showing the delivery truck’s proximity to your home. « The Amazon Map Tracking feature is another delivery innovation we are working on to improve convenience for our customers and provide them greater visibility into their deliveries, » said Amazon spokeswoman Alana Broadbent. 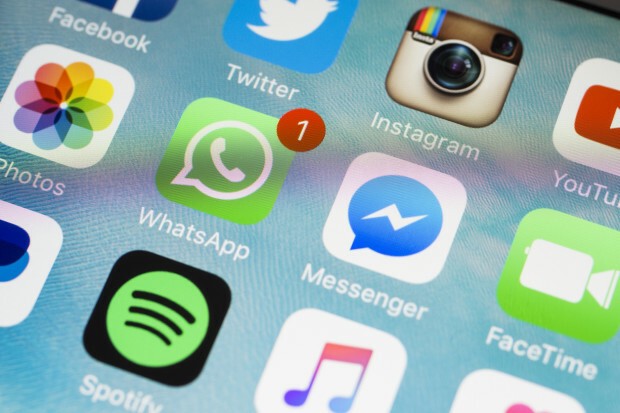 Many people on social media are praising the convenience of the feature, while some are also a little freaked out by it. The e-commerce giant has introduced tools in the past that are designed to improve the delivery process, including the ability to unlock and deliver packages to people’s cars and homes. It has also been expanding a program asking carriers to take pictures of packages after delivering them to help customers pin down where and when packages are dropped off. 4 conseils pour créer une bonne application mobile (que vos clients utiliseront vraiment). Si on ne doit retenir qu’un conseil de @BertrandSchmitt, ce serait de se concentrer sur l’expérience utilisateur en privilégiant l’usage. En ce mois de MAI (le bien nommé) 50 ans après : c’est une autre révolution qui se joue au quotidien… Révolution Digitale, transformation numérique… chacun y va de son concept mais, le fait est que le monde change de nouveau… discrètement, insidieusement ! Le mobile est au centre de tout… mais, là ou certains pensent que la technologie est le coeur de cette révolution (ils se trompent lourdement) d’autres ont compris que c’étaient les nouveaux usages de ces technos qui en étaient LA RÉVOLUTION. Et les apps, aujourd’hui incontournables en sont les illustres exemples. La démarche de création n’est pas simple pour le magasin ou la marque, car souvent le recours à des prestataires extérieurs est freiné par des résistances internes (ah…..! l’informatique et la sécurité !!! ), mais c’est un passage indispensable au risque de passer à côté de vos futurs clients : ces fameux millennials que tout le monde chasse ! Si vous êtes une marque et que vous n’avez pas d’application mobile, il va falloir vous y mettre. Mais pas n’importe comment. Maddyness a rencontré Bertrand Schmitt, cofondateur et CEO d’AppAnnie, qui distille quelques conseils pour créer une application au top des app-stores. Aujourd’hui, les marques doivent non seulement avoir une application mais aussi une très bonne application. » L’affirmation venant de Bertrand Schmitt, cofondateur et CEO d’AppAnnie, le site de référence des applications mobiles, vous voilà prévenus. « L’application concentre tous les avantages : rapidité, flexibilité et mobilité, continue ce prophète du marché mobile. C’est le lien permanent entre une marque et son client final. » Pas question de faire l’impasse sur ce canal de communication ni de bâcler sa mise en place. Pour vous aider à produire une vraie belle application, Maddyness est allé glaner la recette de l’application idéale. Et pour cause : « les utilisateurs s’habituent à l’expérience qu’ils ont sur Facebook et Snap et veulent reproduire ces usages au quotidien« . Pas étonnant qu’on voie se multiplier les « Tinder de l’alimentaire » et autres « Airbnb des cours particuliers ». Pour s’imposer, certaines startups n’hésitent pas à se comparer aux plus grandes applis pour s’en attribuer – à défaut du succès – les principales qualités : facilité d’utilisation et design léché. Reste qu’il faut aller au-delà du discours pour réussir à tenir la comparaison avec ces applications qui font aujourd’hui référence dans le monde entier. « La France dispose clairement de bons ingénieurs mais ça ne suffit pas, assène Bertrand Schmitt. On manque d’expertise sur l’aspect marketing. » En effet, « la France produit peu d’applis à gros volumes : nous n’avons pas encore réussi à créer le WeChat ou le Snap français« . Si la technique est donc primordiale pour bâtir une application en état de marche, il ne faut pas délaisser l’emballage pour autant : le design et l’ergonomie comptent pour beaucoup dans le succès – ou l’échec – d’une appli. Si vous pensez pouvoir bricoler une application dans votre garage, Bertrand Schmitt préfère briser le mythe tout de suite : « il faut investir dans le produit« . Et pas qu’un peu, puisque « le financement est une problématique majeure« . Rassurez-vous, il ne s’agit pas de débourser des milliards de dollars « mais il faut avoir du capital à disposition« . L’investissement peut sembler anecdotique pour les marques dont le mobile n’est pas le coeur de métier. Mais ce serait passer à côté d’un canal de vente majeur et d’une manne financière grandissante : en 2016, l’utilisation des applications générait en moyenne 0,80 dollar par heure et par utilisateur. D’ici 2021, ce montant devrait plus que doubler, à 1,81 dollar. Rentable, non ? Last but not least, ce conseil doit devenir votre devise pour les mois à venir si vous prévoyez de développer une appli mobile. « Dans le B2B comme dans le B2C, l’expérience utilisateur est ce qui doit primer« , rappelle Bertrand Schmitt. A quoi vous servirait une belle application que personne n’utilise ? Rappelez-vous que les mobinautes utilisent en moyenne 35 applications par mois, chacune dédiée à un usage bien précis : qu’il s’agisse de consulter ses comptes ou de réserver un logement pour les vacances, chaque tâche du quotidien a son application destinée à faciliter la vie de l’utilisateur. Car c’est bien cela qui doit présider au développement d’une application. Elle doit non seulement répondre à un besoin identifié mais doit permettre de le combler facilement et rapidement, en quelques clics et de manière intuitive. Plus les tâches sont complexes et rébarbatives, plus une application a du potentiel. Qui aurait imaginé il y a dix ans pouvoir réaliser un virement bancaire en moins de 10 secondes et discuter en vidéoconférence avec son banquier ? Et tout ça sans avoir ni à se rendre en agence ni à être derrière un ordinateur. Or, « l’usage est la nouvelle monnaie de l’app-économie« , précise AppAnnie dans son dernier rapport, car « l’engagement génère le chiffre d’affaires« . Qui veut gagner des millions ? 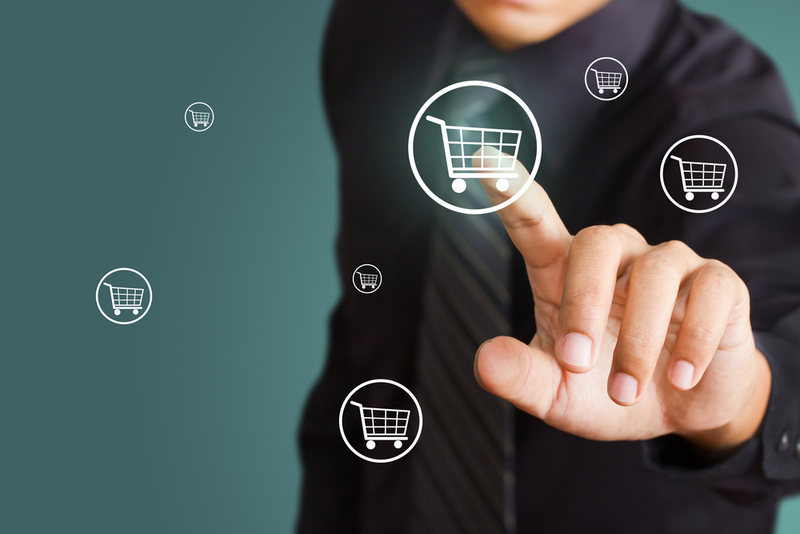 L’e-commerçant Cdiscount, filiale du groupe Casino, donne désormais la possibilité aux internautes de louer un millier de produits en échange d’un engagement de quatre ans. L’offre vise les produits high tech et l’électroménager. Les consommateurs sont de plus en plus attachés à l’usage d’un produit plutôt qu’à sa propriété. 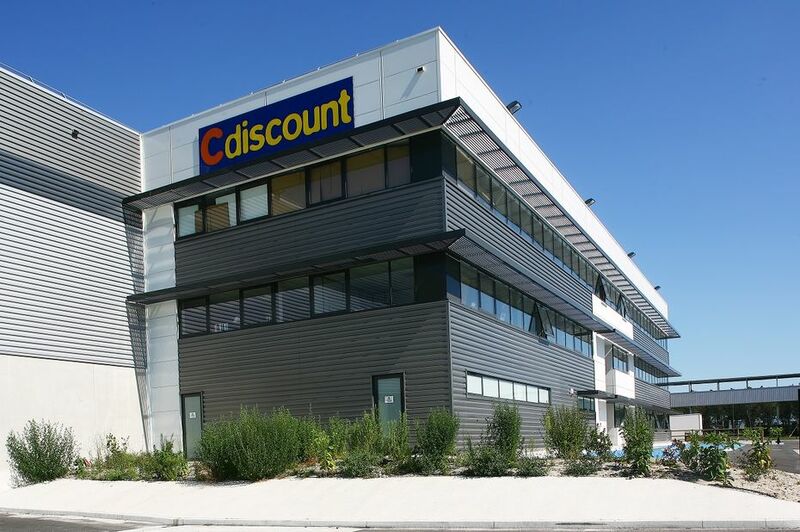 L’e-commerçant Cdiscount (groupe Casino) l’a bien compris et annonce, ce lundi 16 avril, une offre de location longue durée sur un catalogue de 1000 produits. La nouvelle formule concerne essentiellement des produits high-tech et des appareils électroménagers comme les smartphones, ordinateurs, téléviseurs, machines à laver, etc. Elle a été élaborée en partenariat avec Banque Casino et inclut une assurance qui couvre la casse, la panne, le vol et l’oxydation. Pour en bénéficier, l’internaute doit cliquer sur l’onglet « Casino location », sélectionner un produit présent dans le catalogue, choisir l’option « louer », puis remplir un formulaire et télécharger son RIB et sa pièce d’identité. En souscrivant à cette offre, l’internaute s’engage pour une durée de quatre ans (ou deux ans pour les smartphones). Pour une machine à laver séchante, il devra par exemple débourser un peu moins de 60 euros au premier loyer, puis un peu moins de 16 euros pour les 47 suivants. Ce qui représente un total de 800 euros environ, contre 469 euros pour un achat classique. Une belle opération donc pour l’e-commerçant. Avec cette offre, Casino s’inscrit dans le boom des abonnements de différentes natures. Pour les formules permettant d’accéder de manière temporaire à un produit, c’est la possibilité d’accéder à une plus grande variété d’articles ou à des produits plus haut de gamme qui séduit les consommateurs. Du côté des marques et des distributeurs, ces formules présentent également plusieurs avantages dont la disparation de l’acte de paiement. « Le paiement est douloureux, mais il y a une gradation dans la douleur. Ce qui est le plus douloureux, c’est de sortir de l’argent liquide de son porte-monnaie parce qu’on sent l’argent partir. Payer par chèque ou par carte bancaire est déjà plus doux car le paiement devient plus abstrait. L’abonnement est encore mieux car l’utilisateur prend la décision de payer une fois et ensuite le paiement s’effectue par prélèvement. C’est une vraie astuce marketing pour rendre le paiement moins douloureux », nous expliquait Philippe Moati, professeur agrégé d’économie à l’université Paris-Diderot et cofondateur de l’Obsoco. Selon cet institut, 56% des Français ont au moins un abonnement en cours (hors abonnement de facilité). Dans une interview accordée aux Echos, Emmanuel Grenier, PDG de Cdiscount, indique que le site a récemment passé la barre des 20 millions de visiteurs uniques par mois, compte 8,6 millions de clients actifs et que sur un an le nombre d’abonnés à Cdiscount à volonté (l’équivalent d’Amazon Prime) a progressé de 33%. La transformation des entreprises, quel que soit son caractère, répond à des prérequis qui ont déjà fait l’objet d’une littérature pléthorique. La transformation numérique n’y échappe donc pas. Aucune entreprise ne peut ignorer cette transformation, « se réinventer ou mourir », soit une opportunité d’évolution et de changement. Si l’on regarde de plus près, au-delà de la stratégie marketing déployée et du storytelling omniprésent, une majorité des transformations reste laborieuse et les résultats sont mitigés. Engager une transformation profonde, on commence par quoi ? De nombreux acteurs que nous accompagnons ont conscience qu’ils doivent se réinventer et engager une transformation profonde, cependant ils sont nombreux à s’interroger quant à l’action par laquelle il convient d’engager leur transformation. Les directions lancent des initiatives tous azimuts et continuent à se tromper sur l’ampleur de la problématique et de ses enjeux, elle ne se résume pas à la seule numérisation d’une offre ou à la vente sur une plateforme Internet. Nos interventions nous rendent acteurs de cette évolution des entreprises et il faut bien se rendre à l’évidence que nombre de transformations ne sont pas pilotées, et pour certaines pas encore entamées. Les situations sont critiques à plusieurs égards, les tentatives de transformation se sont succédées sans résultat probant, les équipes sont usées et, pire, désabusées. Certaines situations sont délicates, l’irruption d’un nouvel entrant proposant une expérience nouvelle et meilleure bouscule et perturbe les meilleures intentions. Réinventer son activité, face à de nouveaux acteurs et une concurrence accrue et disruptive, est difficile lorsque l’on décide d’avoir le produit du futur avec une organisation du passé. De nos jours les entreprises font face à un marché dominé par l’expérience dans lequel les enjeux de la compétitivité se transforment. L’expérience client désigne l’expérience globale – sa perception et son ressenti – vécue par le consommateur tout au long de son parcours. 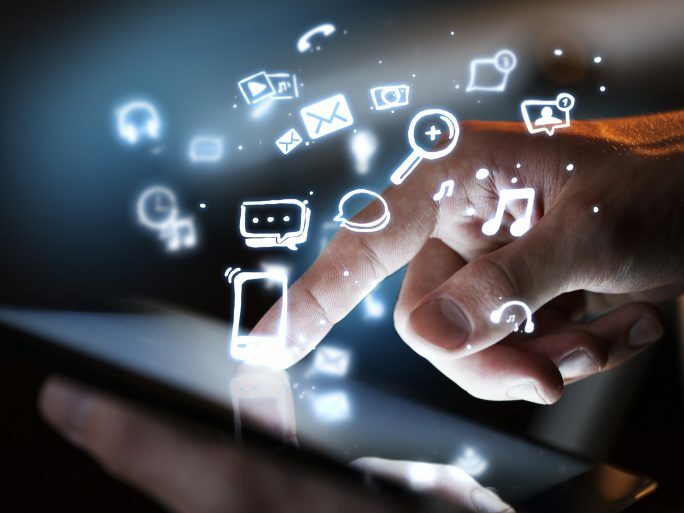 N’oublions pas que la transformation numérique est une évolution du client, de ses usages et de ses comportements. Cela induit de fait d’imaginer et de construire une véritable expérience émotionnelle, personnalisée et unique. On bascule alors d’une culture « push » – c’est-à-dire pousser des produits vers le client – à une culture « pull » – partir des besoins du client – permettant de percevoir des petits détails de comportement, des tensions, des problèmes non résolus, grâce à une écoute empathique du client. Ce changement d’angle est l’un des fondamentaux de la transformation numérique, car il demande de développer cette connaissance intime du client, de montrer que l’on s’intéresse vraiment à lui, en créant la perception que l’on fait ce qui est juste pour lui et pas seulement ce qui est juste pour l’entreprise. La pyramide de l’expérience client du Gartner est un excellent révélateur des étapes de progression. Crier à tue-tête que le client est au centre de la transformation omnicanale n’est pas suffisant pour que cela devienne réalité. La mise en oeuvre d’un « service de la relation client » reste une optimisation locale, qui cherche davantage à résoudre les problèmes de l’entreprise et non des clients. Les entreprises doivent supprimer les points de friction dans les parcours clients, les rendre simples et fluides, et chercher à gravir cette fameuse pyramide. L’excellente collaboration de tous les services de l’entreprise est essentielle pour développer les stratégies et favoriser la cohérence et la pertinence des points de contact. Par ailleurs, casser les « silos » de l’entreprise est une situation idéale sur le papier, en grande partie réservée à des entreprises de taille moyenne capables de transformer en profondeur leurs organisations. Chercher l’excellence opérationnelle devient inéluctable, il s’agit là d’un défi majeur pour l’entreprise et son organisation et constitue un puissant levier de compétitivité. L’agilité constitue un autre défi. L’évolution des usages et des comportements des clients impose de facto des cycles de plus en plus courts, il n’est plus possible de figer des plans longtemps à l’avance et parfois sur des années. Acceptons le fait qu’il est rare de concevoir l’excellence à la première tentative. L’entreprise doit adopter une démarche itérative permettant de répondre avec efficacité aux aléas de son activité, chaque nouvelle itération apporte son lot d’amélioration et d’optimisation. Pour être en capacité d’évoluer et de réussir, l’entreprise se doit d’impulser une (r)évolution culturelle profonde au sein même du coeur de son réacteur, le capital humain. Il suffit d’observer les relations dans une équipe ou un service pour comprendre quels sont les régulations et les jeux de pouvoir à tous les niveaux, y compris au sein de l’équipe de direction. Ces règles sclérosantes suivies par tous les acteurs de l’entreprise ne favorisent ni l’autonomie ni la prise d’initiative bien au contraire, alors que l’empowerment est de mise. Cet éparpillement dénote la difficulté à disposer d’une vision stratégique et au-delà, à impacter le modèle managérial. L’entreprise doit avoir une vision claire de là où elle souhaite aller, car sans vision rien n’est possible. Une approche systémique et globale doit permettre de prendre de la hauteur, de faire le bon diagnostic, afin de partager la compréhension des impacts avec la direction générale. Le processus de transformation n’est pas juste un événement ponctuel dans la vie de l’entreprise, mais un processus continu qui doit s’inscrire dans une optique de résilience. La grande distribution confrontée aux nouvelles tendances de consommation ! Quelles solutions mettre en place ? Quand l’hypothèse de départ est que le client veut faire autre chose qu’acheter dans les magasins ? Le Digital ? (oui bien sûr) mais on saupoudre… Le contact humain ? (évidemment) mais c’est la base de ce commerce physique qui n’oublions pas, est le détenteur historique de la relation client ! La data (certainement) pour anticiper et cibler les attentes mais attention à l’aspect intrusif et au manque de finesse des sollicitations… La Solution ne sera pas une, elle est multiple et sera innovante, construite autour de l’expérience client, elle va devoir réinventer des usages, comme en son temps (il y a 10ans) Steve Jobs et son téléphone, appareil photo, walkman … cet iPhone vendu à 1milliard d’unité en créant le besoin !! L’accès plus fréquent à l’information a transformé, ces dernières années, le comportement des consommateurs. Ces derniers sont plus exigeants, mieux informés, plus connectés, pressés et de plus en plus attentifs à ce qu’ils consomment. Pour répondre aux attentes de ces acheteurs modernes et suivre le rythme des nouvelles tendances de consommation, les acteurs historiques de la distribution vont devoir se réinventer car de grands défis les attendent ! Le plus important serait sans doute celui de faire face au commerce électronique qui progresse depuis une quinzaine d’années. La vente en ligne a enregistré un chiffre d’affaires de près de 2000 milliards de dollars en 2016, en hausse de 24 % par rapport à 2015. La France est l’un des plus grands marchés pour l’e-commerce en Europe avec un chiffre d’affaires de 72 milliards d’euros en 2016 contre 31 milliards d’euros en 2010 et 8.4 milliards d’euros en 2005. Selon la Fédération de l’e-commerce et de la vente à distance, les français ont dépensé 20 milliards d’euros sur Internet au premier trimestre 2017, soit une croissance de 14,2% par rapport au premier trimestre 2016. Le chiffre d’affaires mondial du e-commerce BtoC s’est élevé à près de 2000 milliards de dollars en 2016, en hausse de 24 % par rapport à 2015. Des chiffres qui reflètent la progression astronomique du commerce électronique au cours de ces quinze dernières années. Ce dernier a favorisé le développement d’une multitude de nouveaux services causant la baisse de fréquentation des magasins physiques. Aux USA, la fréquentation des centres commerciaux a diminué de 60 % en 10 ans. Et pour cause le sentiment de pouvoir et de liberté que le e-commerce procure aux internautes. Ces derniers par un simple clic ont accès à une infinité d’offres à travers la planète et cela sept jours sur sept. Sans oublier le gain de temps et d’argent qu’offre l’achat en ligne aux cyberacheteurs. Mais cette montée en puissance du web sonne-t-elle la fin des réseaux physiques ? Y a-t-il encore une place pour le magasin physique ? Même si la vente en ligne représente moins de 9 % du total des ventes de détail dans le monde, elle oblige les réseaux de distribution classiques à se repositionner. Les spécialistes s’accordent à dire que le magasin physique aura toujours sa place à condition qu’il soit repensé pour s’adapter aux nouveaux comportements des clients. Touchées de plein fouet par l’arrivée d’Internet et de pure players, certaines enseignes traditionnelles n’ont pas hésité à se réinventer pour rester dans la course. L’émergence du commerce électronique a favorisé l’apparition de nouveaux concepts de magasins et la multiplication de nouvelles propositions commerciales. Le digital, la nouvelle arme des magasins physiques ? Le consommateur d’aujourd’hui veut tout, n’importe où et n’importe quand. 74 % des français supportent de moins en moins de faire la queue et 85 % d’entre eux apprécient que les vendeurs soient passionnés par ce qu’ils vendent. Ils sont de plus en plus nombreux à vouloir faire autre chose qu’acheter dans les magasins. 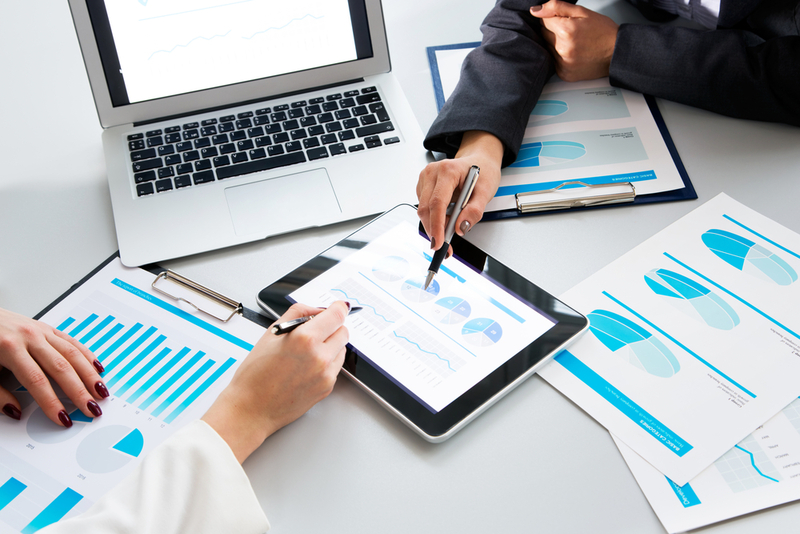 Pour répondre aux nouvelles aspirations des clients et faire face à la montée en puissance du e-commerce, les points de vente physiques ont dû se restructurer, revoir leur stratégie, repenser le parcours client dans sa globalité… Et si la solution était de se servir du digital et d’utiliser des dispositifs digitaux ? Outre la digitalisation, le levier fort de différenciation dans le magasin passe par le contact humain. Le but étant d’offrir au client une expérience personnalisée et conviviale. A l’ère de l’individualité reine, l’enjeu est de répondre aux attentes de clients de plus en plus exigeants et d’anticiper leurs besoins, des attentes de fluidité et de proximité mais aussi d’émotion. Grâce au Data, les enseignes disposent aujourd’hui d’une mine d’informations leur permettant de mieux connaître leurs clients afin de cibler leurs attentes. NEW YORK — Acculés par la concurrence grandissante du commerce en ligne, les magasins américains jouent la carte de l’originalité, multipliant les initiatives pour faire du magasinage une expérience allant au-delà des seuls achats. Le jeudi de Thanksgiving marque le début aux États-Unis de la saison des fêtes, avec le célèbre Black Friday, pendant lesquelles les acheteurs se ruent sur les magasins à l’assaut des meilleures affaires. Quelques 164 millions d’Américains devraient ainsi procéder à au moins un achat entre jeudi et lundi, selon l’Association nationale des détaillants (NRF), soit 69 % de la population. Mais les sites Internet, Amazon en tête, ont bouleversé cette tradition et les magasins «en dur» rivalisent d’initiatives pour faire revenir le chaland. Le grand magasin new-yorkais Bloomingdale’s organise désormais des classes de yoga pour ses clients et son concurrent Nordstrom expose des voitures électriques Tesla au milieu de son rayon habillement masculin. D’autres offrent encas et boissons. Le père Noël reste aussi une attraction majeure, offrant maintenant sa barbe blanche pour des photos avec les chiens venus avec leurs maîtres. 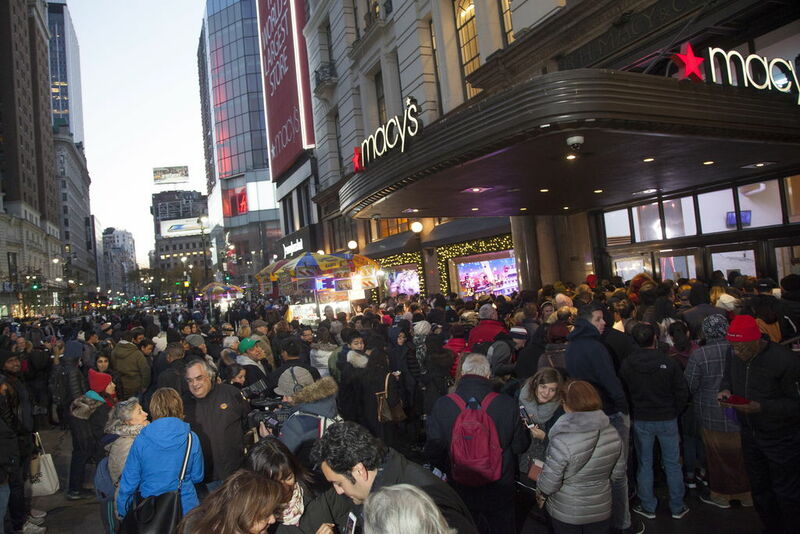 L’enseigne Macy’s, elle, organise toujours son grand défilé dans les rues de New York le jour de Thanksgiving en espérant que les spectateurs viendront ensuite visiter ses rayons. Selon les enquêtes d’opinion, environ un tiers des consommateurs veulent faire de leurs achats une expérience festive et 23 % apprécient les décorations de Noël qui ornent les magasins, indique la NRF. Karen Boyd, habitante de Palo Alto en Californie est venue cette année faire ses achats à New York, à l’autre bout du pays. Elle pense réaliser la moitié de ses achats en ligne et l’autre moitié dans des «vrais» magasins. «Les années où j’ai tout fait en ligne ne m’ont pas donné l’impression de faire des achats», confie-t-elle près de la célèbre enseigne Saks sur la 5e Avenue aux vitrines animées. Le cabinet IHS Markit table sur une hausse de 4,2 % cette année à 685 milliards de dollars des ventes sur l’ensemble de la période des fêtes. Les ventes en ligne devraient représenter 18,3 % de ce total pour 16,8 % l’an dernier. Les magasins traditionnels proposent de plus en plus de produits en ligne que les acheteurs peuvent ensuite venir chercher en magasin et utilisent des programmes informatiques de traitement des données pour mieux cibler les goûts des consommateurs. «Les clients veulent maintenant faire leurs achats quand et où ils veulent et les points de retrait sont une manière de les satisfaire», souligne Shea Jensen, chargée de la satisfaction des clients chez Nordstrom. Une autre enseigne, Kohl’s, a décidé d’aller chasser sur les terres mêmes d’Amazon en offrant à ses clients de Chicago et Los Angeles la possibilité de rapporter des articles achetés sur Amazon, Kohl’s se chargeant pour eux de les retourner s’ils ne leur plaisent pas. L’espoir est de les voir traîner un peu et effectuer un nouvel achat dans l’enceinte du magasin. «Attirer les clients est notre principale priorité», souligne le PDG du groupe Kevin Mansell. Pour autant, Neil Saunders, expert auprès de l’institut de marketing GlobalData Retail, reste sceptique devant ces initiatives. «Tous ces marchands essaient désespérément d’attirer les clients dans leurs magasins, mais le résultat est très incertain», prévient-il. Si la photo du chien avec le père Noël peut contribuer à nourrir l’augmentation constatée des achats de cadeaux pour les animaux, la possibilité de récupérer les achats 24h sur 24 l’est peut-être moins face à ses coûts supplémentaires, estime-t-il. David Simon, responsable de la chaîne de centres commerciaux Simon Property Group, juge que l’esthétisme devrait être davantage pris en compte. «On a accordé beaucoup d’attention aux investissements technologiques», souligne-t-il, «mais j’aimerais aussi que cela profite aux magasins eux-mêmes», notamment aux caisses et au décor général. Cela se traduirait, selon lui, par un rebond des ventes. Melin Ghotan, venue de Los Angeles et qui effectue ses achats à New York, grommelle ainsi qu’elle fera dorénavant ses achats en ligne après s’être vue refuser un deuxième sac pour ses emplettes.